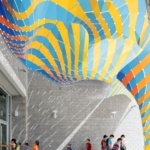 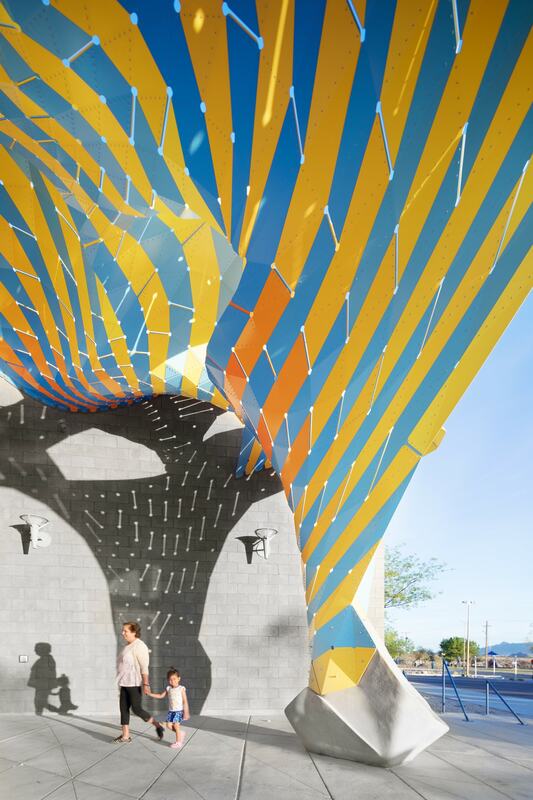 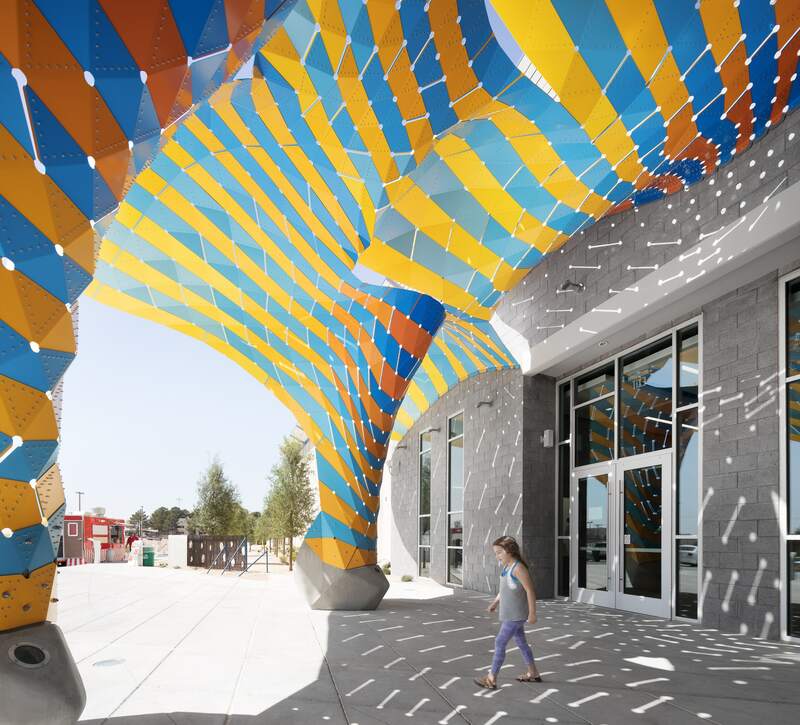 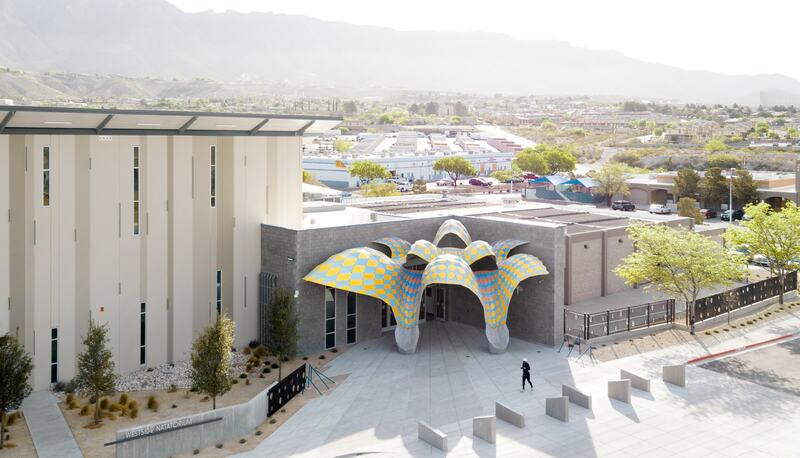 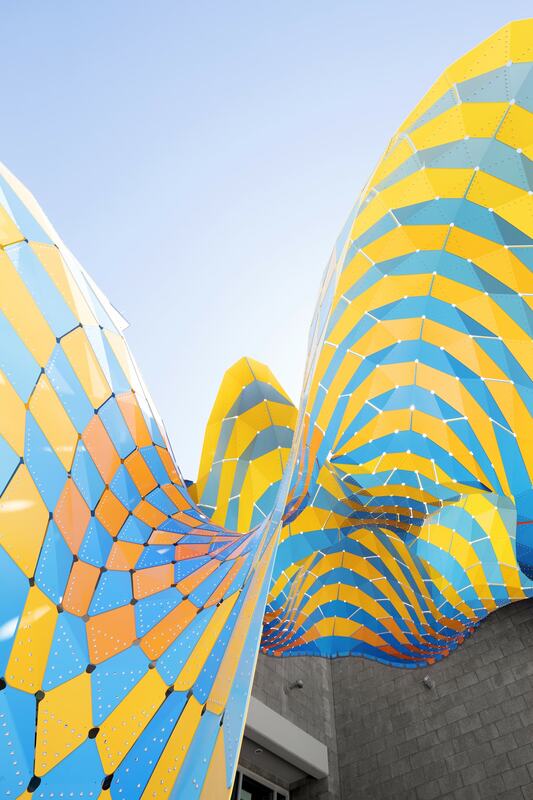 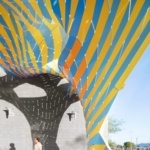 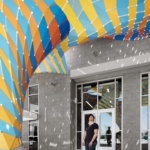 New York-based studio The Very Many has designed and built a sinuous canopy that hovers over the entrance to a public pool in El Paso, Texas with In*Situ Architecture working as the architect-of-record. 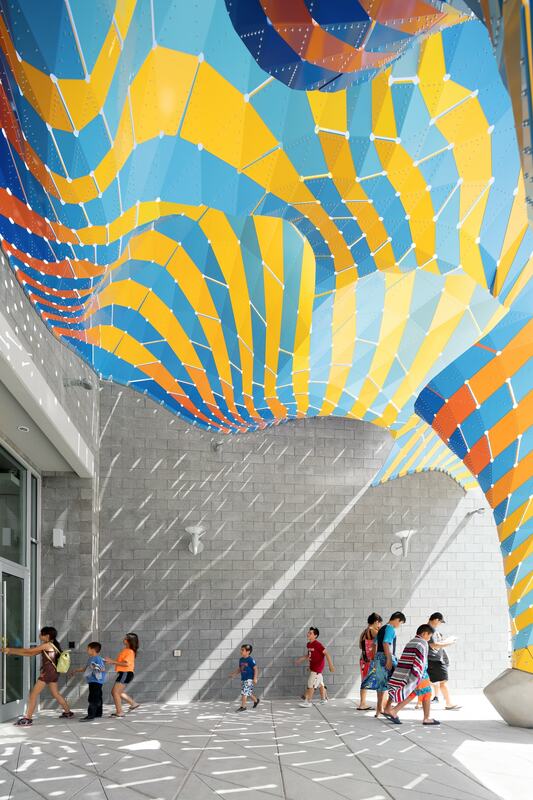 Dubbed ‘Marquise’, the canopy creates an entry structure for El Paso’s Westside Natatorium. 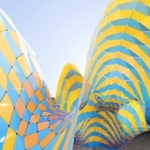 The curved surfaces create an impression of a billowing tent rising from the ground, where it then organically forms two seats that are actually cast-in-place concrete elements. 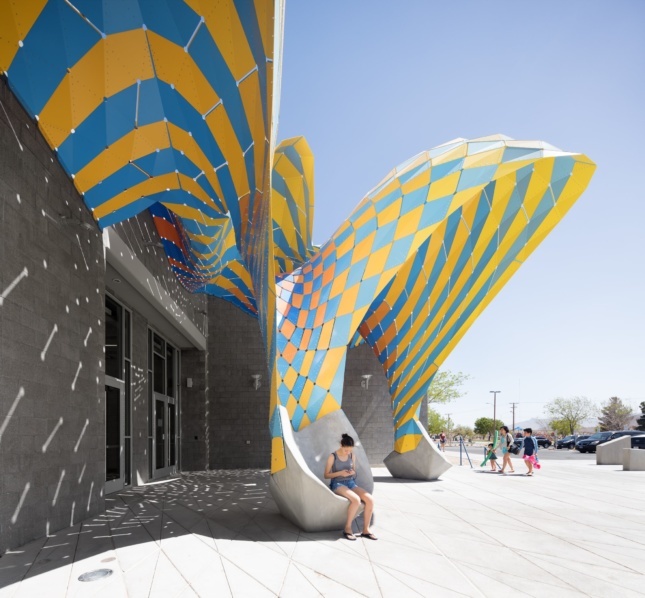 From the organic form of the awning, visitors have a unique spatial experience with alternating sensations of warmth and coolness, light and shade. 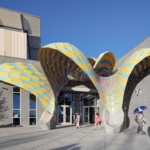 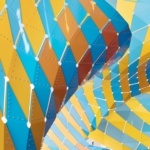 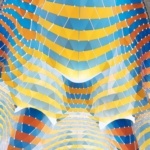 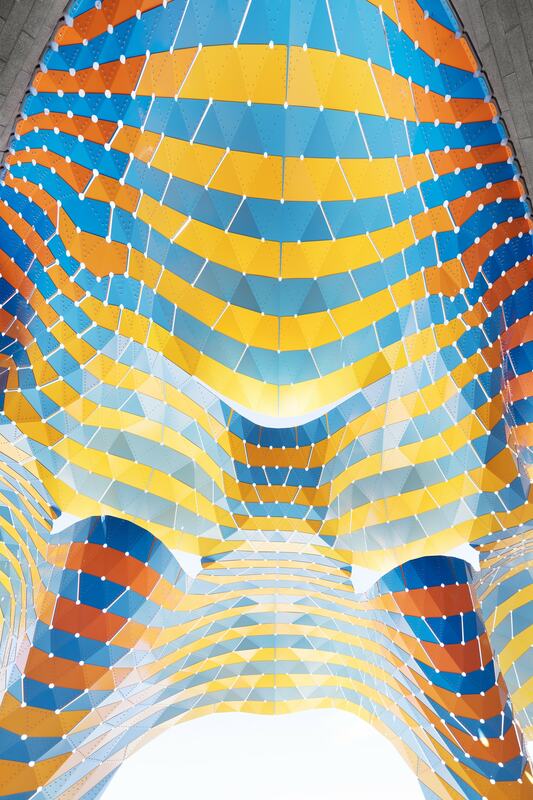 The Very Many is known for designing and building thin-shell pavilions and installations. 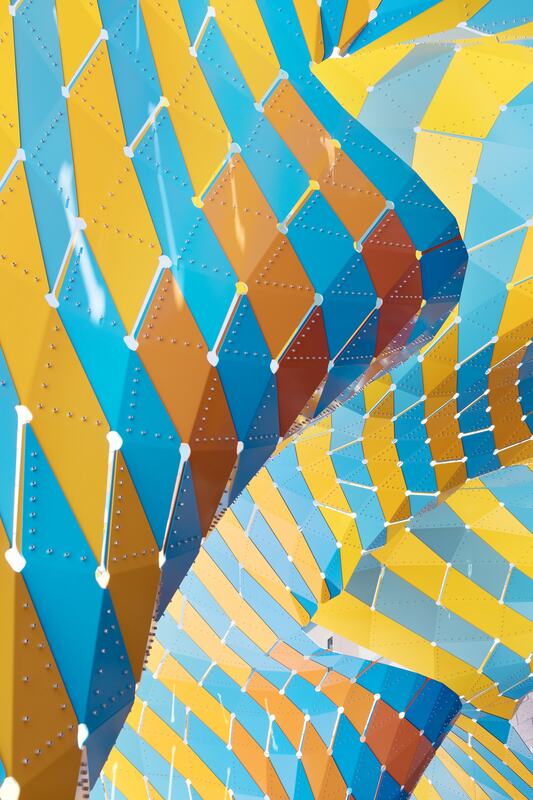 In the same vein, Marquis achieves its thinness through compound curvature and structural shingles in two different thicknesses: 1/8 inch at its thinnest and 3/16 inch for reinforcement and resistance to point loads. 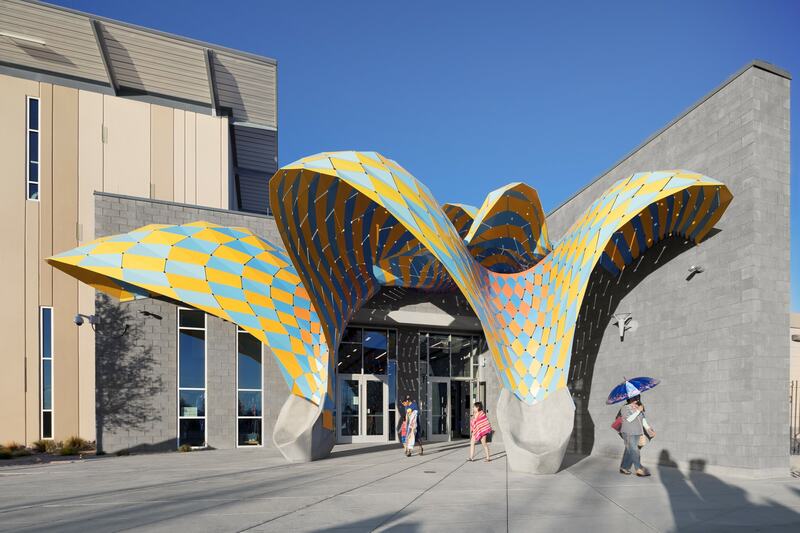 The name Marquise references the structure’s 21st century play on the Art Nouveau entrance, which is historically classified as a curvilinear steel frame and glass awning that is either attached to buildings or freestanding. 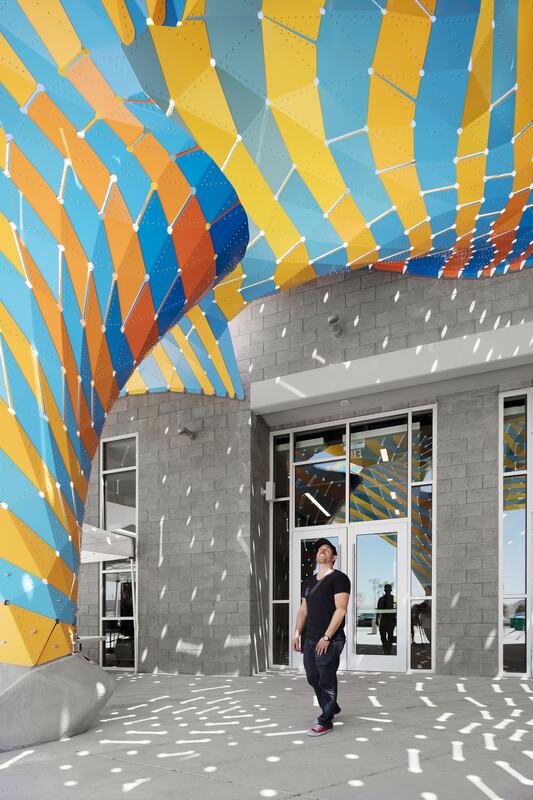 Here, aluminum replaces the glass-and-steel frame to create a unified structure.